An archival re-issue of a staple feature from the 80s this Dark Sand iteration of the Lois Jeans Tejana Jumbo Cord Jacket arrives boasting all of the hall marks of the much loved corduroy originals. 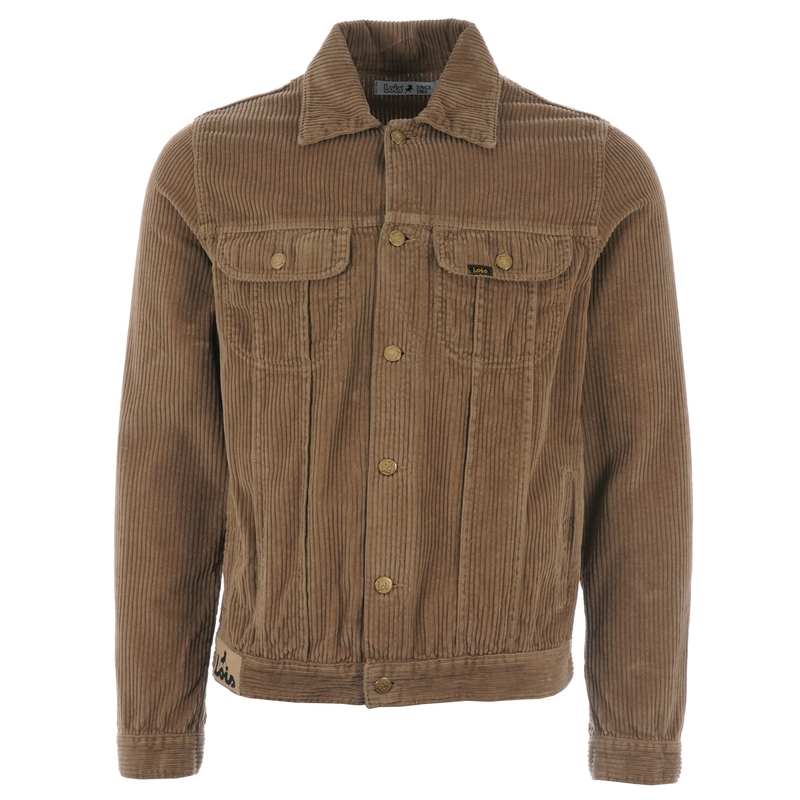 Initially based upon a classic 70s Western trucker jacket the piece maintains it's recognisable aesthetic that is defined by it's larger than life "Jumbo Cord" outershell, western style front pleats, buttoned tab adjusters at the hem and four pocket details - two buttoned flap pockets at the chest and two side pockets. With branded gold button details, suede signature branding to hem at the front left, and woven tab branding at the left hand chest pocket rounding off the garment it's short length simply add to it's appeal.